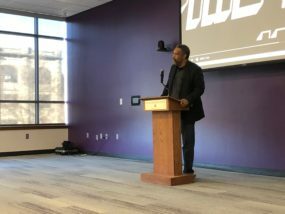 On Thursday evening on the Kansas State University campus, filmmaker Kevin Willmott addressed the unsettling link between democracy and racism to an overflowing room in the student union. 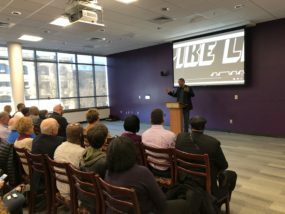 Willmott’s discussion was titled, “BlacKkKlansman: A Response to the Resurgence of Racism in America Today”, and it was part of K-State’s The Art of Democracy symposium co-organized by the Office of the Provost and Center for Engagement and Community Development. Willmott told KMAN about his motivations for serving as a creative cornerstone for films such as BlacKkKlansman and several others that address the uncomfortable topic of racial tensions in modern America. 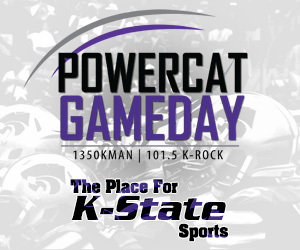 Visiting Kansas State was close to home for Willmott, who spent his childhood in Junction City. 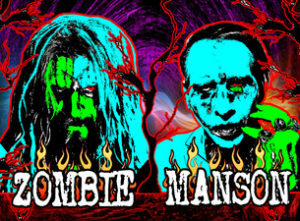 He is currently a professor of film for the University of Kansas. The post BlacKkKlansman, national tensions and a filmmaker’s local roots appeared first on News Radio KMAN.